Last week I had the chance to continue discovering France with a friend. We drove around for one week and took a lot of new photographies. Some of them can now be found in the new France (Bretagne) and France (Normandy) gallery on my Photography-website. 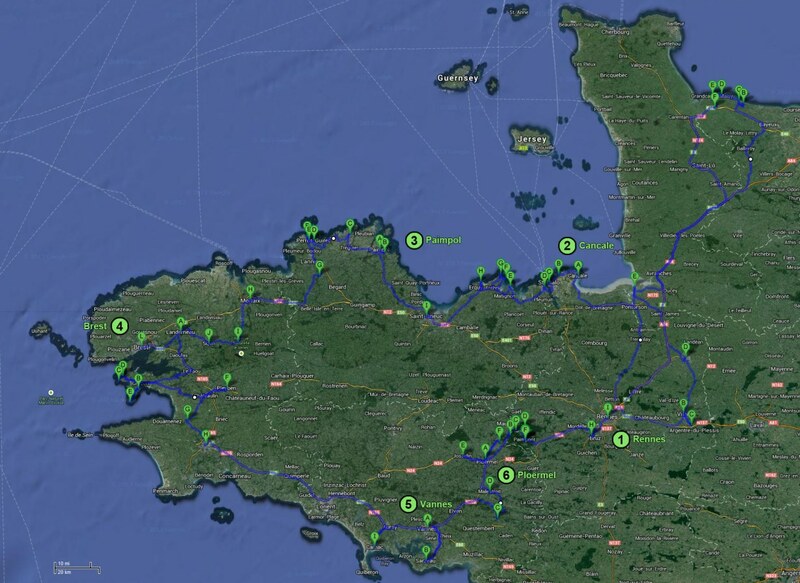 You can also have a look of the following map which shows our tour. Overall approximately 1700 km.